This blog knows what it’s talking about!!! 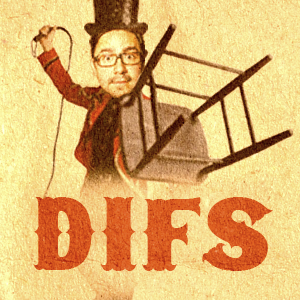 Donny Rodriguez is the ringleader of DIFS (Credit: Eliaz Rodriguez). Donny Rodriguez is the quintessential do-it-yourself type. The bootstrappy attitude has lead him to create an entertaining show that shouldn’t be missed. Fortunately for you, the Disposable Income Freak Show is live this Friday at The New Movement Theater. Rodriguez is originally from Chicago. He honed his sketch comedy skills in the Windy City for six years before moving to Austin. He started the sketch group Wood Sugars with his brother, filmmaker Eliaz Rodriguez, and their buddy, stand-up comedian Jon McCarthy, after goofing off during a poker game. McCarthy was replaced by author/actor Jeff Phillips after he left to L.A. The Disposable Income Freak Show is only $5.00 online (Credit: Eliaz Rodriguez).